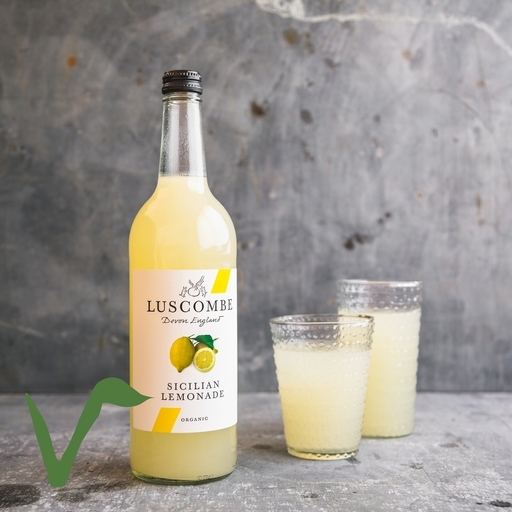 Luscombe Sicilian lemonade is one of our favourite organic soft drinks, made just down the road from our farm in Devon. This classic still lemonade has the intense tang of organic lemons, rounded off with a hint of Madagascan vanilla. Winner of multiple Great Taste Awards, it goes down a treat with all ages. Spring water*, Sicilian lemon juice (14%), raw cane sugar, lemon oil, Madagascan vanilla.